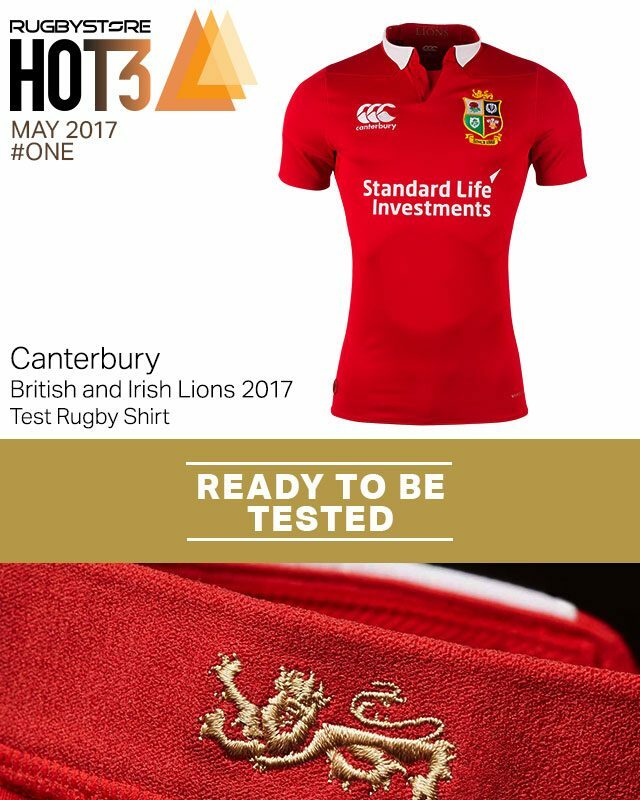 Welcome to the rugbystore Hot 3! Every month, we highlight 3 new products available now at rugbystore.co.uk that deserve your attention. This month in the Hot 3: The Ultimate Lions Jersey, Training Gear of the Champ and Barbarian Style. The Official British and Irish Lions Squad has been announced and now it’s just a waiting game for the tour to start. The week the squad was announced, Caterbury finally released the official team issue elite shirt for eager fans to buy. It is a shirt befitting the name of the Lions. Inspired heavily by the 1888 tour shirt, Canterbury have combined classic style with state of the art sport technology. Active seams make the shirt 30% tougher than regular flat lock shirts, additional panelling and ventilation allows for a full 360° of movement, patented VapoDri technology wicks away sweat and much more is packed into the shirt. It even has a Lions symbol that will only appear on the sleeve when exposed to rain or, if you’re training/playing hard enough, sweat. There is only a limited run of this exclusive shirt so order yours at rugbystore.co.uk today. 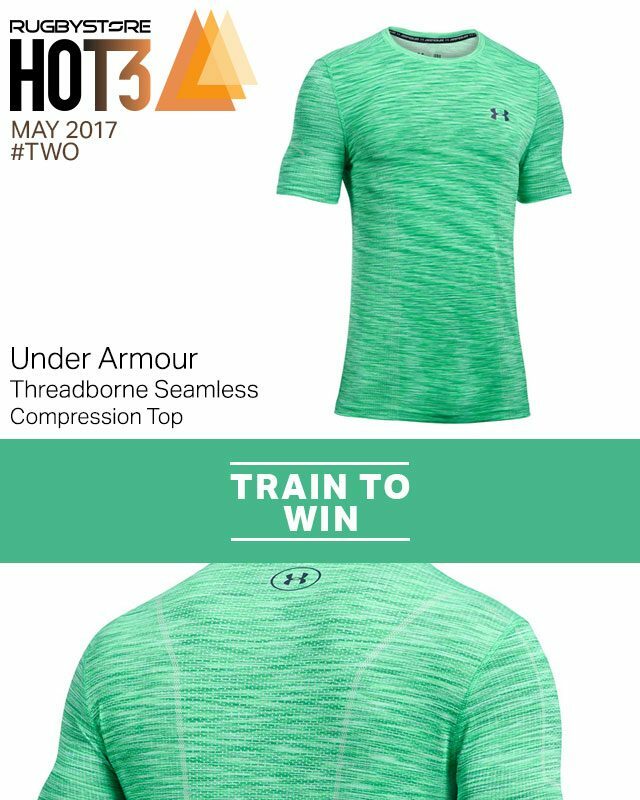 When it comes to training wear, Under Armour make the best gear in the industry. It’s no surprise that the new Threadborne series has already been recommended from the highest levels. The biggest name in boxing, Anthony Joshua, prepared for his epic bout on Saturday wearing Threadborne. The fabric is designed to almost be unnoticeable, wicking away sweat as quickly as possible using a moisture transport system and being essentially seam free to minimise chafing and distraction. Give yourself every edge and improve your training with Threadborne. The Barbarians will be back in action this month as they take on England at Twickenham. Kooga have been doing the Barbarian name proud with a wide range of classic style Baa Baas gear. While you can find plenty classic black and white hooped shirts at rugbystore, we’re fans of the latest hoody Kooga have made for the team. 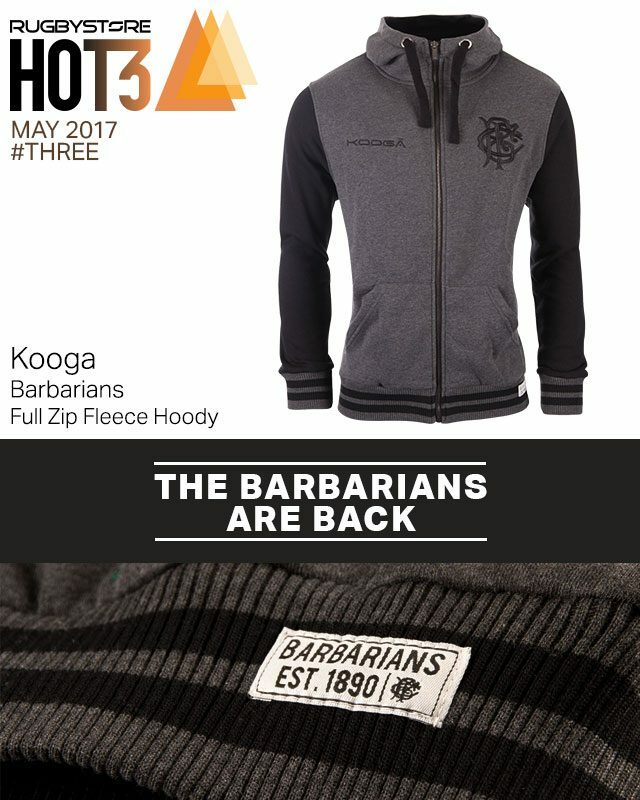 Ideal to wear to training or just out and about, the Kooga hoody has a soft fleece lining and features a large version of the iconic Barbarians logo to show your support. Excited about some new kit you’ve got arriving this month? Let us know in the comments below or over on our Facebook or Twitter pages.